Day 27 of 30: An ability to lead, to listen and to engage thoughtfully always leads to agricultural influence - and good agricultural friends. Every year at Prairie Farmer, we have a little tradition surrounding our Master Farmer issue. We like to gather the four or five new Master Farmers together in a single location, take them to lunch, then take them somewhere for a photo shoot. This being Illinois, the weather can be lovely or it can be downright miserable. Regardless, we ask them to smile and stand uncomfortably close together, and then we take lots of photos of them. For people who are generally unaccustomed to having their photo taken or to actually touching other people, this can be a little like hazing. But in the best way possible. I remember well the year Philip Nelson was named a Prairie Farmer Master Farmer, in March 2001. We arranged to shoot the cover photo the fall before, at New Salem Village. I teetered atop a ladder from the place marked "not a step," and Philip gave me a hard time. But more than that, I remember the banter between him and then-editor of Prairie Farmer, Mike Wilson. I had only been at the magazine for a couple years, but I recognized something in their exchange: old friends. More than that, old agricultural friends. They went back to their high school FFA days, when they were manning state and section offices. "Phil always strikes me as so genuine - a real people person – someone who really engages, connects and builds relationships," Mike says. 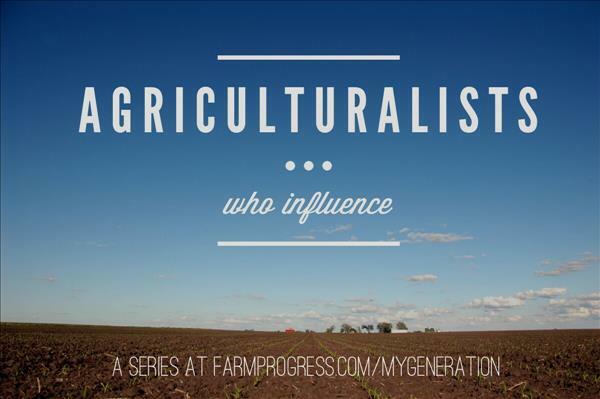 "He is one of the few agricultural leaders who really listens, someone who really thinks before he speaks." Photo courtesy of Illinois Farm Bureau. I thought that was so perfect – so characteristic of an influencer – and it reminded me of the days when Philip was vice president of Illinois Farm Bureau, before he became president in 2003. During the IAAA annual meeting, there's an early morning press conference that he hosted as vice president. Despite being peppered with reporter's questions at 7:30 in the morning, Philip was always gracious and thoughtful. No matter what I asked. Philip farms with his wife, Carmen, near Seneca with their three children, Kendall, Rachel and Kyle. They raise corn, soybeans and alfalfa, and run a cow-calf operation. Philip served as vice president of Illinois Farm Bureau from 1999-2003, and as president from 2003-2013. He's also served on a variety of USDA committees. With his IFB presidency wrapped up, there is much, much speculation about what he might do next; Philip seems one of those people destined to move up the ladder - perhaps the very top. As a side note, Philip is the brother to Noreen (Nelson) Frye, who was featured here on Day 7. And if you're keeping track at home, they are the only brother-sister pair to be featured here this month. Trivia for you. Further trivia: Phil and Noreen are two of six siblings, four of whom were state FFA officers. That's evidence that influential leadership may indeed be genetic. Mike Wilson adds this of Philip: "He’s the true definition of leadership in that he engages people and finds a way to get everyone moving in the same direction. 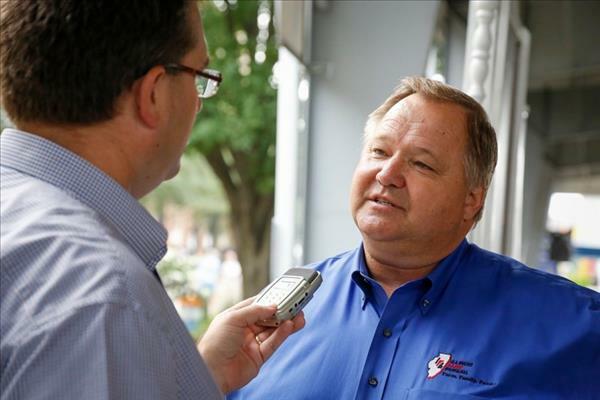 That leadership has been so important for Illinois agriculture over the past several years." I concur; it's the kind of leadership that makes him an agriculturalist who influences.